With over 100 years of combined experience, the management team at J Reynolds & Co., Inc., is qualified to assist you with any building envelope need. Specializing in commercial roofing and waterproofing, we serve clients across the 48 continental states in all markets. 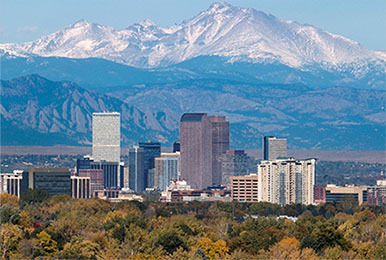 While we humbly remember our assets in the Denver metro area, we are proud to offer the Western region of the United States with roofing and waterproofing solutions. We offer high quality services to all of our clients, without sacrificing quality and safety. Whether you need professional roof inspections, repairs, maintenance, re-roofing, or waterproofing, contact us today. Taking the initiative to have your roof inspected can save you money in the long run. Regular preventative roof care can extend the life of your roof. We work on skyscrapers, industrial buildings, and much more to install and maintain every roof type—EPDM, TPO, Fleeceback EPDM and TPO, Slate, Metal, Shingles, Modified and built-up, PVC, and liquid applied membrane and coating, and more. At J Reynolds & Co., Inc., we offer these traditional commercial roofing solutions. But, we also offer sustainable solutions including solar panels and green roofs. We have installed green roofs in cities across the United States and can help you in the process of transitioning to a green roof. J Reynolds & Co., Inc.